The Temple is preparing for Spring, vanished creations are again blossoming on walls, and as the ice retires and melts, buds of new projects and events are showing up as accents of a future full of exciting visions and places. So come visit Selidor and see if the tattoo, skin, full avatar, Libertine detail you were waiting for is back and available. I will be updating the List on this post till the first days of April when I will be also back in Europe and in my home, successfully escaping this year's 5 months of cold and winter and recharging my inspiration, sleep, wanderlust and lust. Mariposa Gacha available in the Gacha circle near Tattoos and Info Wall. Vila Gacha available in the Gacha circle near Tattoos and Info Wall. Discovery Gacha available in the Gacha circle near Tattoos and Info Wall. Ars Anatomica Gacha available in the Libertine Sky Showroom. 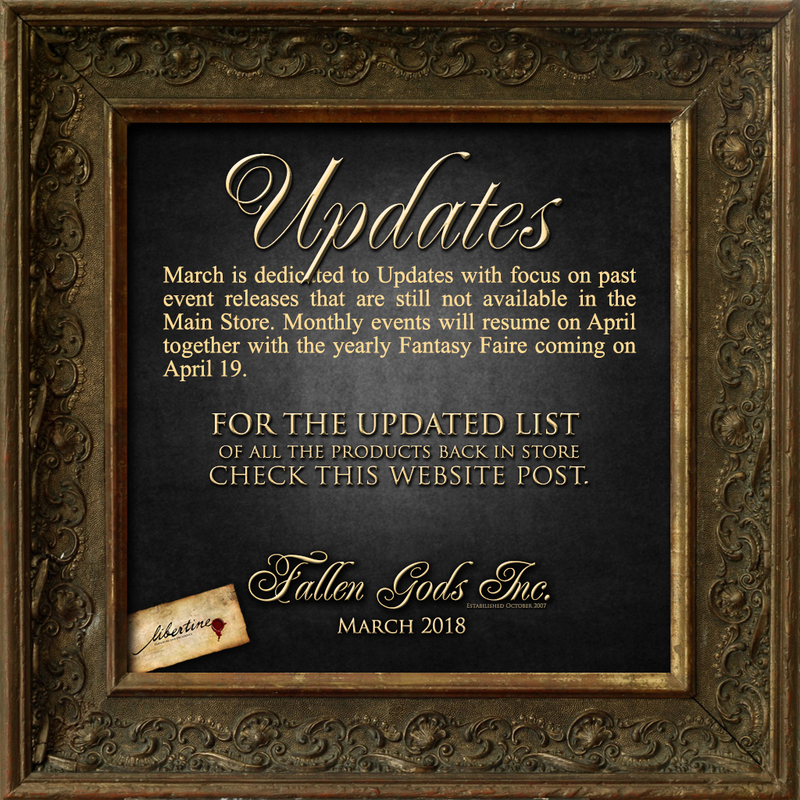 Currently working on the sale release of past Fortunes Full Avatars and their updates. Currently working on the coverage of all skin sets wit equally Omega and system demos plus Ads. Ars Anatomica Gacha available in the Sky Showroom. I have been to this place several times. The perfect event starts with an extraordinary location, like this. Thanks to my friend for introducing me to these rental spaces for parties. I will definitely be coming back.